Located conveniently in Adelaide's CBD, City Central Dental is committed to offering the highest quality dental care to all our patients - before, during and after treatment. At City Central Dental we can transform your smile, improving the overall look of your teeth. 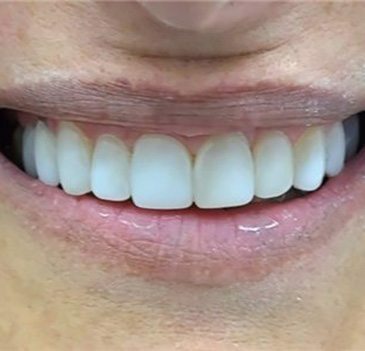 It takes extensive knowledge, skill and artistic ability to create a beautiful smile that works in line with your own individual characteristics - our experienced dentists will work with you closely to deliver the smile you've always wanted. Our dedicated, caring team of professionals can provide a positive experience for your children's first dentist visits. All of our dentists are very experienced in all aspects of children's dentistry, creating a comfortable and welcoming environment for your little ones. Your smile is one of the first things someone notices about you. Our cosmetic dentists can restore your smile. City Central Dental provides hight quality family dental services. We have partnered with government and private health insurer's to keep your out of pocket expenses down. View some of our dental teams success stories. Welcome to City Central Dental. We are a multidisciplinary dental clinic, conveniently located in the Adelaide CBD. Our team provides general, family and cosmetic dentistry, with a strong focus on preventative dental care to help you achieve healthy teeth for life. City Central Dental is committed to providing you the best possible dental care without the sales scare. We strive to deliver superior care at an affordable price while prioritising each patient’s individual needs. We work with you to achieve a healthy and radiant smile and we will keep you well informed throughout the process, offering straightforward advice and delivering brilliant results. If you need a dentist in the Adelaide CBD, don’t hesitate to contact our friendly team. Call us on 08 8819 0148 or get in touch online if you’d like to book an appointment or to ask any questions about our dental services.